Normal people probably don't like to cry. It's not like a "hobby" for them. Well, I would never categorize myself as "normal." Sometimes (all the time), I like having a good cry. This is probably indicative of some larger emotional issue I have, but that's for me to take out later in life on my future kids. We all have our talents. Mine is crying. Anytime, anywhere, baby. Anyway, all unbalanced people who like to have a good cry over anything and everything (usually previous Grey's Anatomy episodes) always have their go-to cry music. My favorite of all soul crushingly beautiful music is Elliott Smith. No one beats him. His music is like my sad and complicated BFF, who always gets whatever I'm going through and will just sit and listen to me cry until 2am when I finally fall asleep. He's one of the most poetic artists of our time, whose life was tragically cut short in 2003. Still, he gave us over a decade of beautifully depressing music. My brother, Wes, first got me into Elliott in the early 2000s, and I've been in love ever since. 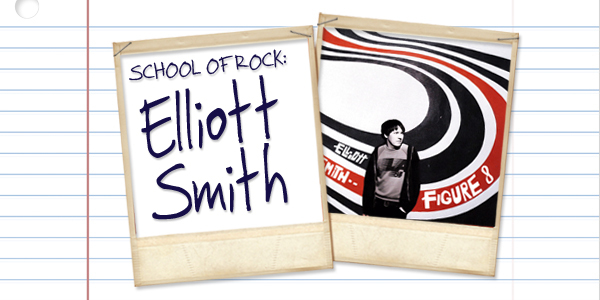 Originally from Omaha, Nebraska, Elliott Smith started making singer-songwriter solo music in 1994, with the release of Roman Candle, a raw lo-fi experimentation, and then a self titled record in 1995. While both albums are quality listens, my favorite Elliott Smith releases came in 1997, 1998 and 2000, with Either/Or, XO, and Figure 8, respectively. All three albums are essential indie rock listening. He came out at a time before Band of Horses, Ray Lamontagne and Iron & Wine, really at foundational level of indie rock. What really catapulted Elliott to "fame" was the use of six of his songs in the Good Will Hunting soundtrack in 1997, as well as performing at the Oscars. His song "Miss Misery" was nominated for an Oscar for its use in the film. (It lost to "My Heart Will Go On" from Titanic. I know that's not actually ironic, but that's the only word that seems to fit. Or maybe just hilarious.) That sort of blew the lid off of Elliott's cult following. After that, he went on a drug-induced spiral into depression. Figure 8 was Elliott's last release while he was alive. On October 21, 2003, Elliott Smith died from two stab wounds to the chest. It was originally ruled a suicide, but it has been widely speculated that it could have actually been a homicide. He did, however, leave behind a note that read "I'm so sorry-love, Elliott. God please forgive me." For a lot of his adult life, he struggled with heroin addiction, as well as depression and a prescription drug dependency. Whether or not he committed suicide will probably never be known, and I don't have extreme beliefs on the matter one way or the other. It's just extremely disappointing to imagine what beautiful music he could be making today if he were alive. It seems the best ones don't even end up sticking around for too long, anyhow. From A Basement On A Hill was released in 2004, which he had been working on at the time of his death. Then in 2007, New Moon, a 2 CD compilation record was released, which contains 24 previously unreleased songs. Both releases are essential listening for any Elliott Smith lovers. But for anyone just dabbling in the depressing, there's an Elliott Smith album especially made for you- in 2010, An Introduction to... Elliott Smith was released. Its goal is exactly what its title would indicate- to introduce new generations of fans to Elliott, and give them a brief intro to the standout songs from his career. I highly highly recommend it to anyone who wants to get to explore his music further. I tend to listen to it more than any of his other releases, as it's literally every single one of my favorite songs off of his other albums, compiled in perfect order. I think growing up listening to Elliott Smith has changed my understanding of sadness, or at the very least my appreciation and need for an ebb and flow of happiness. Not all of his songs are deeply depressing, but they're very contemplative and complex. I'm aware that it sounds silly especially in writing, but I think listening to Elliott Smith has made me a better person. It's made me more introspective than I would be otherwise. You just can't really connect to his music on a surface level. I can't help but put on Either/Or and think about anything and everything "deep" that I've ever been trying to avoid thinking about. 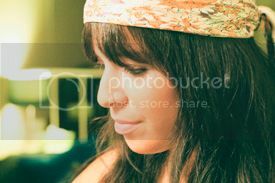 I think about the past, I think about where I'm at now, how the hell I got here, and where I'm going next. Elliott Smith is the soundtrack to my deep inner monologue. (Not my silly inner monologue- that's more like The Wiggles or something.) If I could, I would plaster the walls of a room in the house with Elliott Smith lyrics and just spend all day in there thinking and writing. That sounds like a glorious day. His lyrics are just so poetic. I can't think of a better way to express all that he did through his songs. who's still around the morning after. I'll kiss you again, between the bars. But I'm gonna love you anyhow.